Would it surprise you to know that a mustache can help a six-year-old cope with cancer? Mason was six that day in January when news of cancer rocked his world. How do you tell a six-year-old he has cancer, what cancer is and what could possibly happen to him? It was an out-of-body experience when I was told that my son had stage 4 Burkitt’s lymphoma – a rare and aggressive cancer. How is this possible? He is only six. In my mind, a six-year-old does not get cancer. 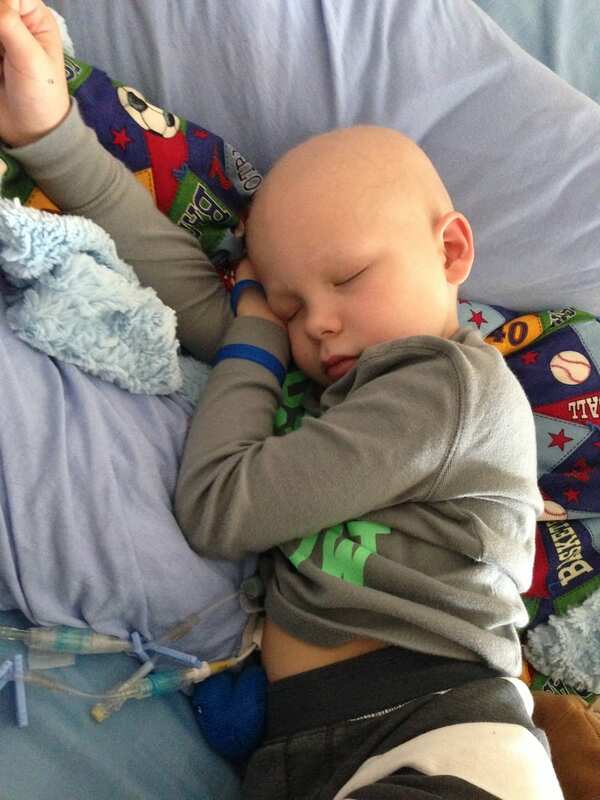 Mason went through five rounds of intense chemotherapy. He didn’t want to do it for one more second, but he never quit. He told me that he had to beat cancer because he knew I could not live without him. How right he was. No child should have their childhood taken from them. Thanks to you, this does not have to be another child’s reality. Your gift today can help save a child’s life. You can offer hope and strength to a family struggling to deal with their child’s cancer diagnosis. Thank you for helping children with cancer. Make a one time donation to Kids Cancer Care. Join our League of Superheroes by making a monthly or recurring donation. You will receive a tax receipt for the sum of all your donations at the end of each year. Copyright © 2019 Kids Cancer Care Foundation of Alberta. All rights reserved. Proudly supporting Shave Your Lid for a Kid® and Kindle Pursuit.